I am throughly enjoying my reading through The Archeological Study Bible. I am reading through the Scripture in chronological order. 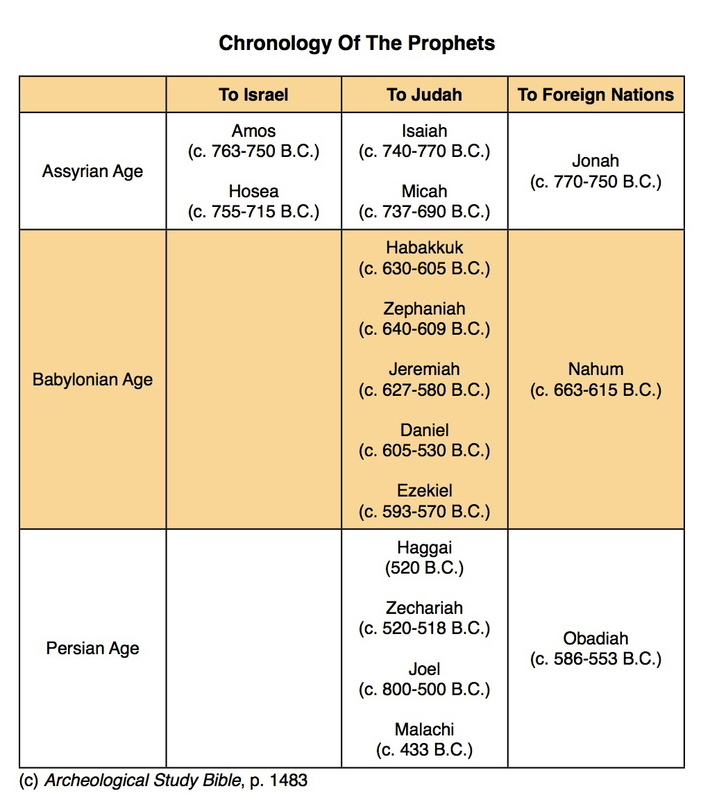 You can download a chart I produced of the kings and prophets of Israel and Judah by clicking here. 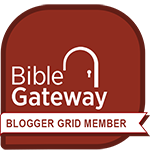 My prayer is that resources like this will aid your own personal Bible reading! I like your chart, but am wondering if the years for Isaiah should read 740 to 670 rather than 740 to 770. Good catch, Harlan! I will get that updated. I find it hard to believe that Joel lived for 300 years. Are you sure those dates for him are accurate? And if so, why did he not prophesy during the Assyrian and Babylonian ages? It seems odd that he’d remain silent until the Persians arrived. * Joel is the second of the minor prophets, and thus the book is early, since they are roughly presented in chronological order. But there are exceptions to this rule: Obadiah, for example, almost certainly was written later than Micah, and Hosea later than Amos. * No kings are mentioned, and therefore the book is postexilic. On the other hand, postexilic prophets sometimes dated their books by Persian kings (Haggai 1:1; Zechariah 1:1). Thus, the non-mention of any king does not imply anything in particular about the book’s date. * Joel does mention priests and elders, and therefore the book was written when the nation was governed by these groups rather than by a king, making the book postexilic. However, the elders are mentioned only in a context of calling for ritual lamentation (2:15–17). They are not said to have been in a governing position, and the reference may in fact have been literally to a group of elderly men (1:2). Again, nothing here helps us to date the book. * Jerusalem had walls (2:7–9). Thus, the book was written either before its fall (586 B.C.) or late in the postexilic period, after the walls had been restored. * Worship was carried out at the temple (2:15–17), indicating that the book was written either before its destruction or after its restoration. * All who lived in the land could gather in Jerusalem (1:14). This suggests that the population of the community was relatively small, as in the late preexilic or the postexilic period.